Transgender activist Stephanie Hayden reported Graham Linehan to Norfolk police after she claimed he shared her private details online. News 1 October, 2018 . Written by Sarah McKenna Barry. 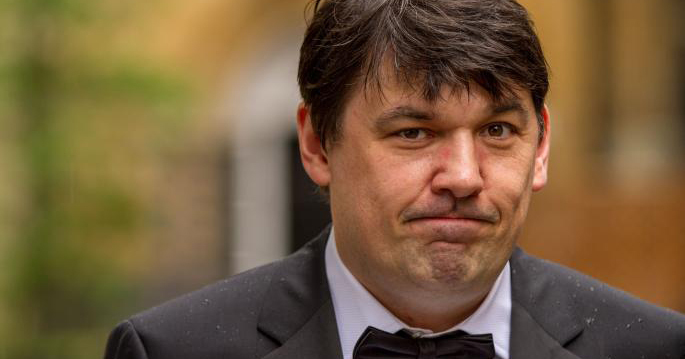 Father Ted creator Graham Linehan has been reported to Norfolk police after sharing a post on Twitter that deadnames activist Stephanie Hayden. The television writer, who has been in a Twitter row with the activist for some time, claimed that Hayden shared his wife’s private details online. After The Times published an article detailing their feud, Linehan tweeted that his favourite part of the article is where “Stephanie/Tony/Steven explains how it’s perfectly legal and normal to have multiple identities but if you don’t call him the female one you’re doing a hate crime”. “[Graham Linehan] alleged that I published his wife’s details online. This is denied in the strongest possible terms. Legal proceedings are to be issued. “On 26.09.18 GL was reported to Norfolk Constabulary in connection with allegations that he had retweeted (and thus republished) a series of tweets from a third party, publishing photographs and personal information relating to my family, close friends and me. Linehan, who has called Hayden a “dangerous troll”, has denied “doxxing” the activist in a pinned tweet that both misgenders and deadnames Hayden, claiming that everything he retweeted was already available online. The IT Crowd writer claimed Hayden “retaliated” by “going after” his wife. 1 October, 2018 . Written by Sarah McKenna Barry.